Decorating your home can be a way of expressing yourself, while making your life more comfortable. One of the best ways to improve your interior design is adding the right flooring. Handyman at Your Service (HAYS) provides one-stop solution for all your flooring needs! Then be it installation, refinishing or repairing, our staff is well equipped with the required experience and expertise to offer you superior quality services to complete the job with your specifications in mind! To find out what we have in store for you – call 201-335-7222 today! At HAYS, we pride ourselves in offering you the best and top-notch flooring services, NJ. 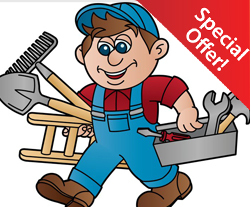 We are known to provide the most consistent and reliable handyman services throughout New Jersey. We take highest care of your flooring needs and guarantee all our services. Whatever be your choice of flooring, if you are looking for world class workmanship, you are at the right place. With HAYS, you can expect a professionally trained staff, which is well qualified to provide you the best services, adopting latest products and procedures to compete your flooring needs with utter perfection. Our experts will first visit and inspect the site where the flooring services are required. After a thorough examination, they will prepare cost estimates for you. Unlike many other service providers, we do not charge any hidden costs for our services. We vouch for 100% customer satisfaction. Therefore you are free to talk to our experts anytime before and after receiving our services, to clear all your doubts and to get expert advice on how to better maintain the floors of your homes and offices. Don’t hesitate to call us anytime of the day or night – we’re available 24 hours a day x 7 days a week. We provide complete handyman solutions in NJ.